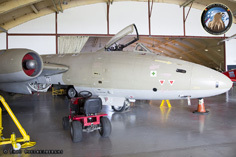 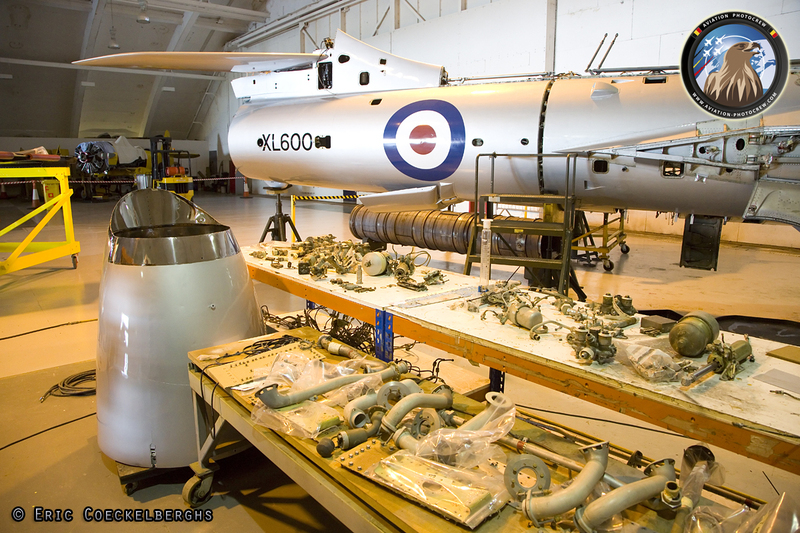 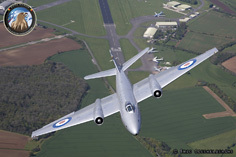 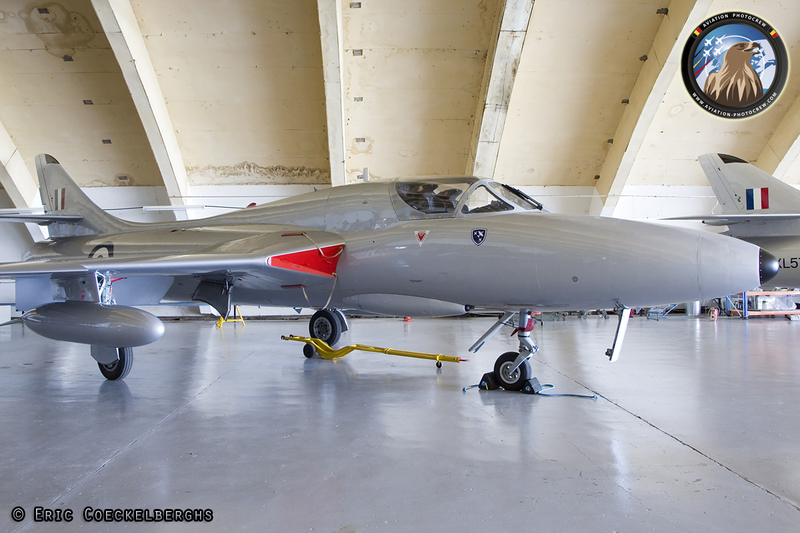 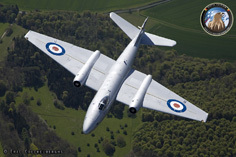 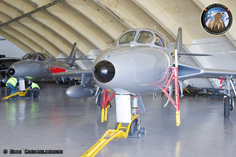 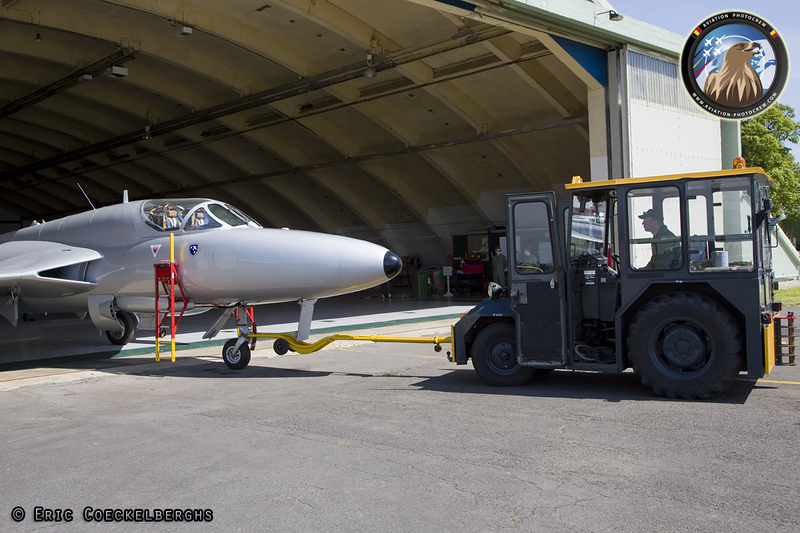 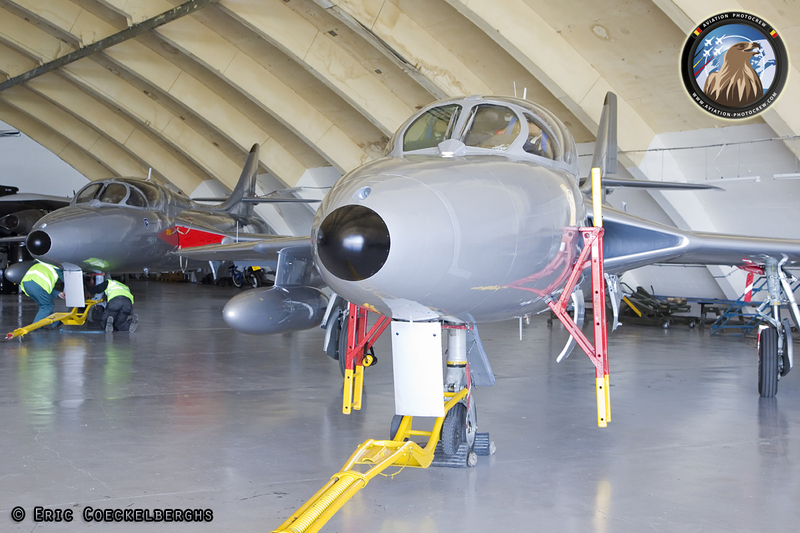 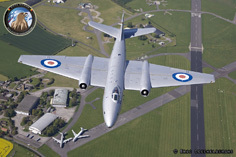 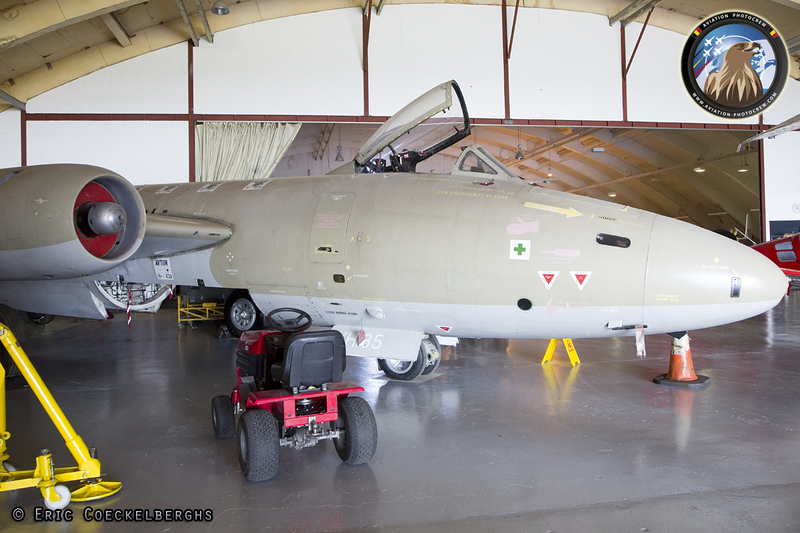 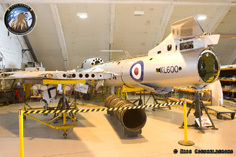 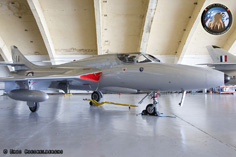 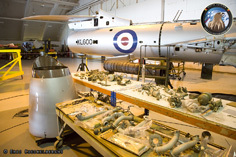 The Midair Squadron is a collection of three classic British aircraft, the English Electric Canberra PR9 XH134, Hawker Hunter T7 XL577 and Hawker Hunter T7 XL600, privately owned by Mike Davis. 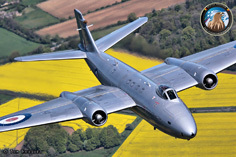 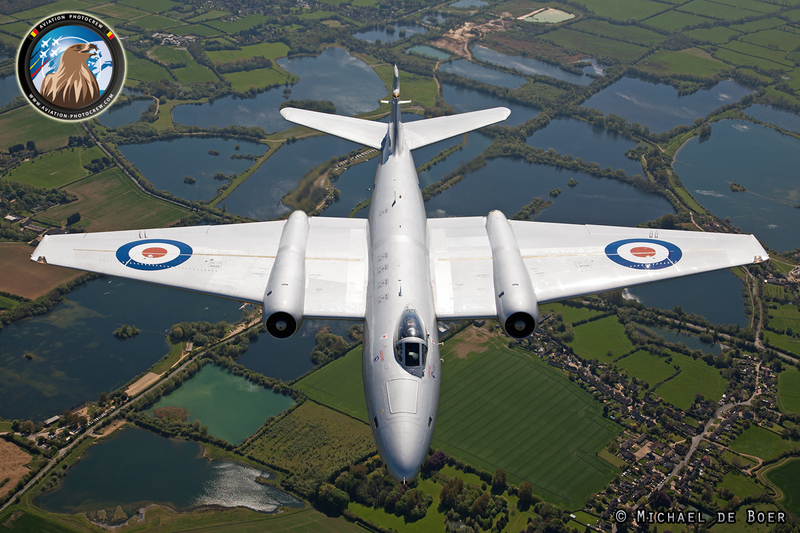 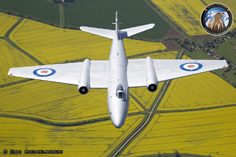 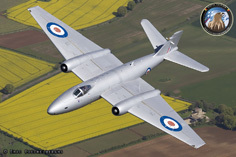 Acknowledged as the world’s first and only display team featuring Canberra XH134, the Midair Squadron evokes heritage, power and glamour of a bygone era. 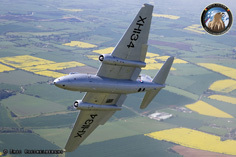 XH134 was in RAF service from 1959 until the type was retired in 2006, when she went virtually direct to Midair's stable at Kemble. XH134 did have a few outings in 2013. 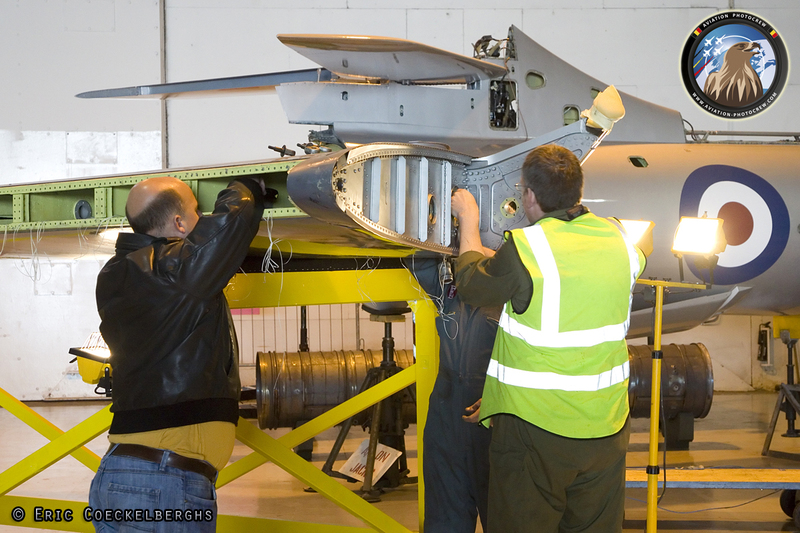 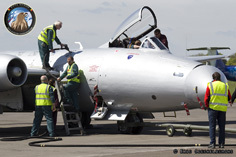 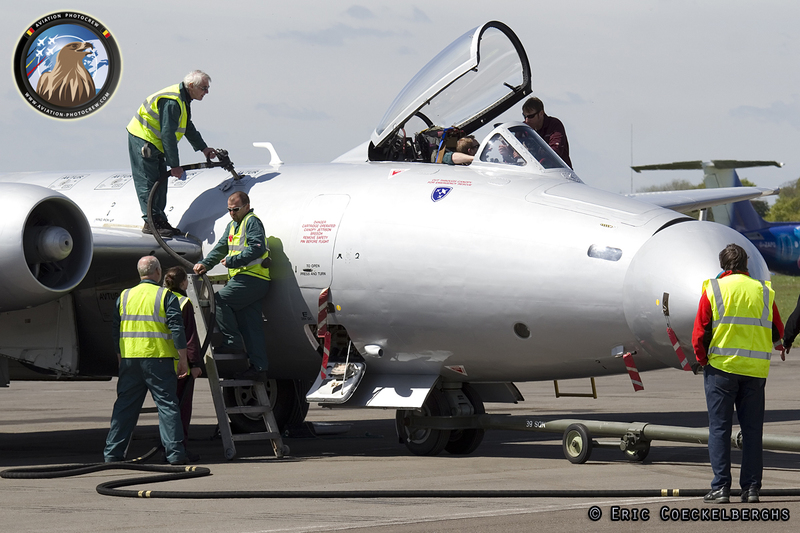 She was flown from Kemble in July, following a 2-year rebuild, to go on static display at RIAT, and took four proving flights shortly afterwards. 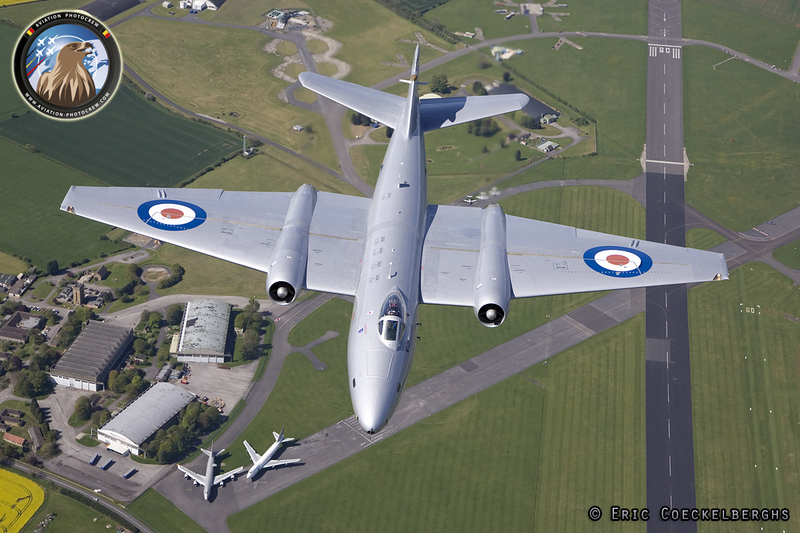 She had her first proper air display at Goodwood Revival the following September and finished her year at Duxford's Autumn Airshow. 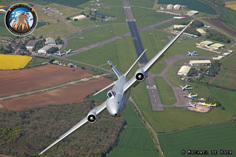 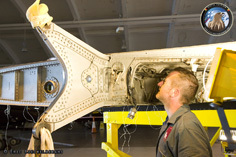 2014 will be the first full display season for eight years, and the first UK display by any Canberra since the airshow career of Air Atlantique's B2 was cut short by engine damage in a bird strike in 2007. 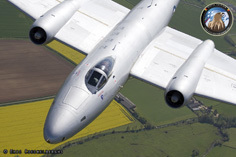 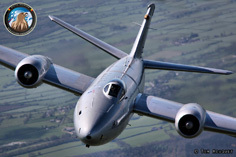 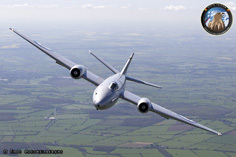 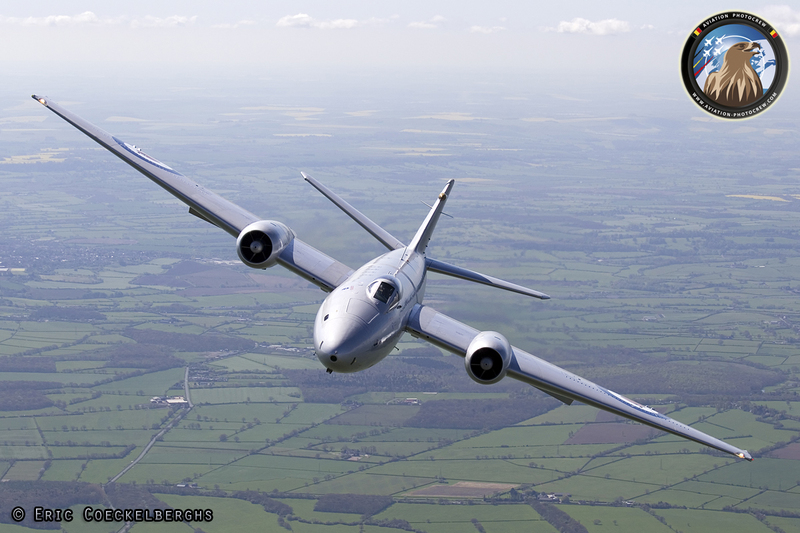 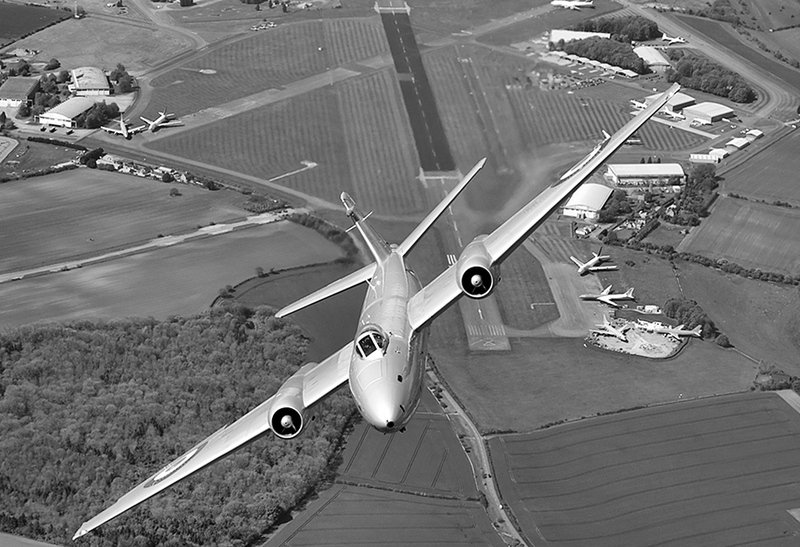 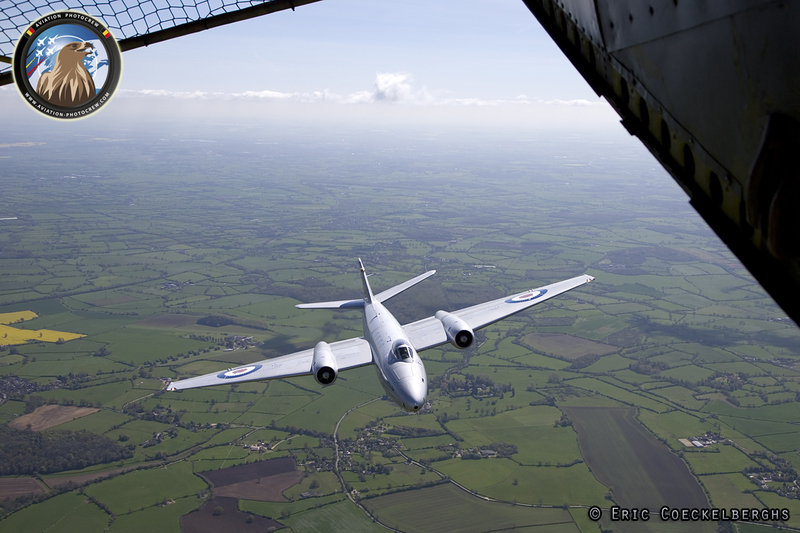 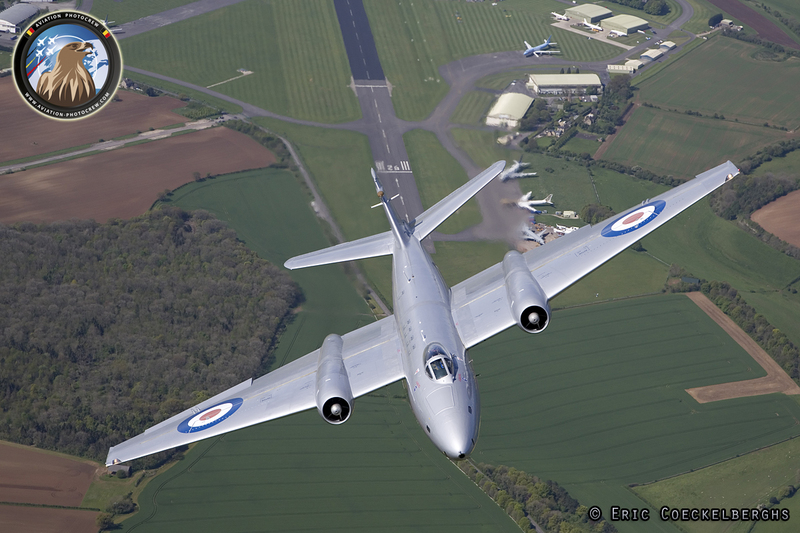 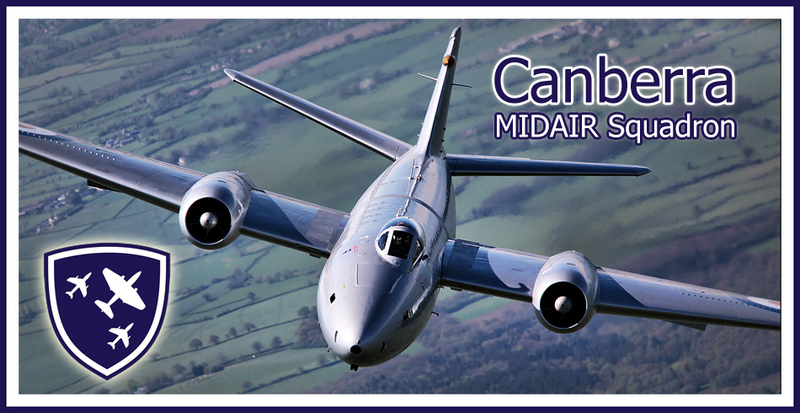 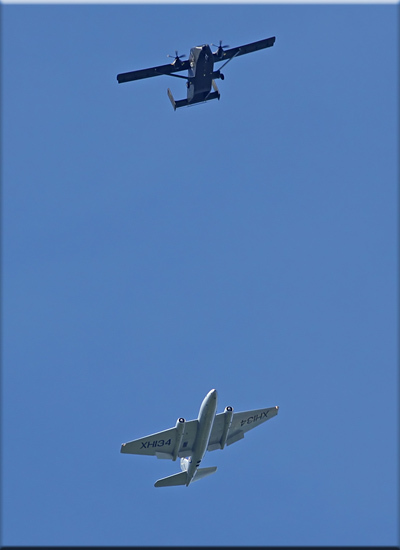 The Abingdon Air and Country Fayre 2014 was the first public flying display of the Midair Canberra and we were very honored to have a special Air-to-Air photoshoot with her on the return flight from Abingdon to Kemble. 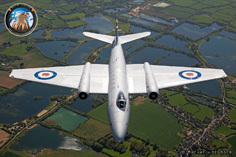 The wonderful Cotswold region formed a great background for the photographs with the waterwold parks and the bright yellow fields. The join-up ended over the Kemble airfield where Canberra Pilot Dave Piper performed a stunning break before making a flypast and landing. 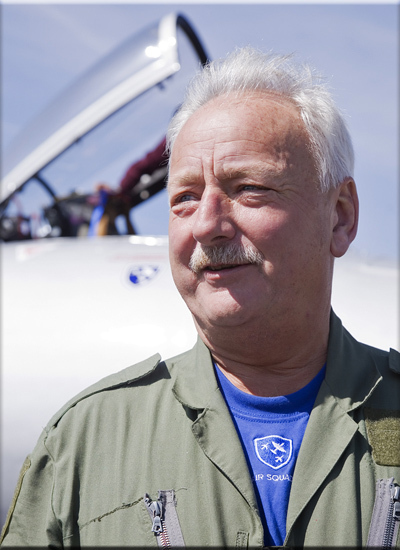 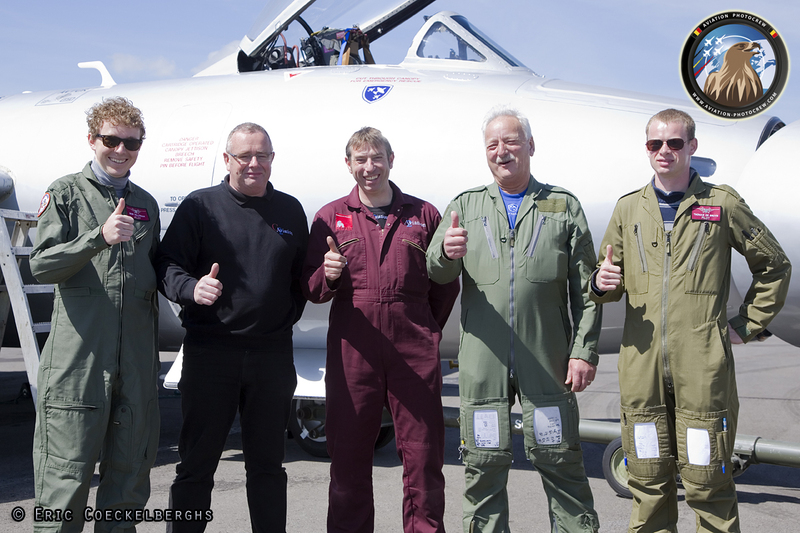 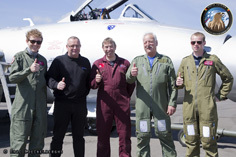 Hereby we would like to thank Mike Davis, Dave Piper and the fantastic Midair Squadron for the fantastic cooperation. 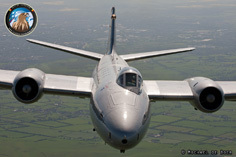 Many thanks also goes to the Skyvan crew, the Abingdon organisation and all the photographers onboard.